We have been developing our workwear collections in close cooperation with our partners in trade, industry and the service sector for decades. Each item of workwear is specially coordinated to the requirements of specific careers. In this way, we offer the right workwear for every sector and requirement. At the same time, we also ensure that the clothing always complies with the relevant occupational health and safety regulations. In our collections, we put particular focus on top quality, a high degree of wearing comfort with plenty of freedom of movement, functional details, a modern design and a wide range of colours. The workwear is suitable for all body types and sexes, plus the collections can all be freely combined with ease. They are certified as skin-friendly and correspond to the OEKO-TEX® Standard 100. Choose professional workwear for all your employees! Pick out the perfect outfit based on the sector or your company’s CI. If desired, we can also add your company or association logo as well as the employee’s name to the clothing. This ensures a uniform look and raises the brand recognition for your team. All of our collections are available in the convenient rental service. Our offering includes the collection of your worn items, the washing, repair and replacement of the workwear if necessary and its delivery. For an optimal fit, the clothing is adjusted to the respective employee, and these alterations are included in the service. Ask your personal service consultants – they are available to you as local contact partners at all times. 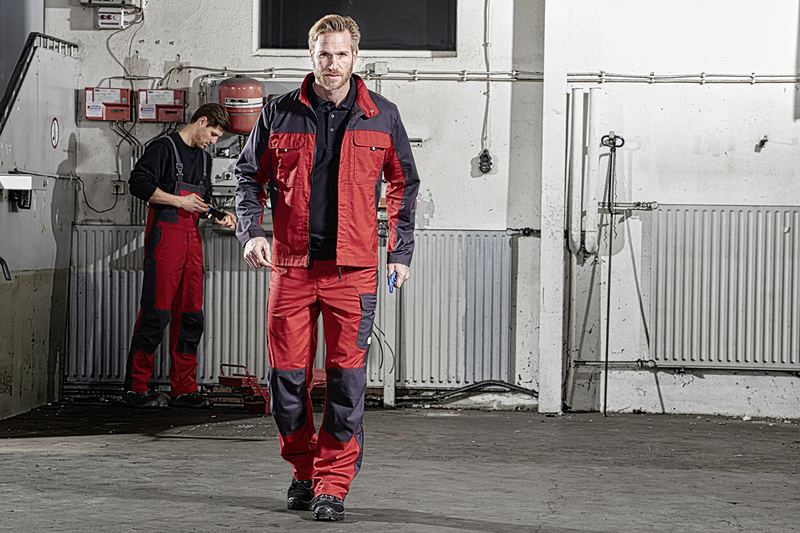 The workwear in our base line is the perfect basic equipment for companies in a single-coloured design. Compact Line is a real all-rounder. The workwear offers a modern cut, functional details and wearing comfort. The sporty Marvik range offers a great feeling of well-being with its variety of smart details. This cool workwear with its casual flair is available in a women’s and a men’s collection.